Without our supporters our site would not be possible therefore we must offer our great thanks to them. Please help us help them by taking a look at their sites in return. The Toggi brand stands for quality, style, practicality and performance. With a wide range of exquisite pieces to cover every country and equestrian need, from high performance outdoor and riding wear, to super chic UK made waxes, to the cosiest sweatshirts, the most luxurious knitwear and the highest quality jodhpurs and breeches, the Toggi brand has it all. Toggi’s best-selling footwear range also continues to go from strength to strength, offering choice and value while making thousands upon thousands of feet very happy, day in and day out, all year round. Champion is a driving force in the design and development of protective riding hats and has been manufacturing market leading riding hats, helmets and body protectors in its factory in Cardiff for over three decades. With a reputation built on safety, many of the best riders in the world put their trust in Champion and you know you can too. From the iconic Champion Ventair helmet to the eye catching Champion Evolution hat to brand new Champion Air-Tech with its adjustable sizing ring and exceptional ventilation, all Champion hats and helmets carry further safety reassurance by carrying the BSI Kitemark, guaranteeing you that they will comfortably outperform the four main areas of testing: penetration, shock absorption, harness strength and stability. New for 2013 is the amazing Champion Vanguard and Freedom ladies only body protectors, details of which will be released very soon, so watch this space! Treehouse Sporting Colours, offer an experienced, qualified and bespoke fitting service for Cross Country Colours, Body Protectors, Helmets and Air Jackets. Come and see us at shows, online or the phone, we are always happy to help. 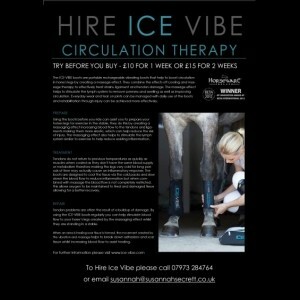 Hire Ice Vibe is the ideal way to make sure you love this product before you buy it. 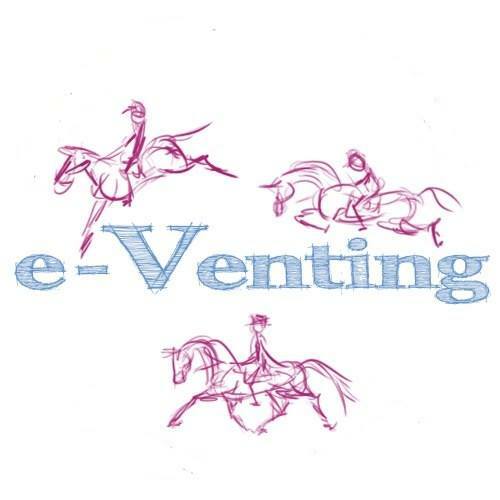 Equestrian hire also hire out Micklem Bridles and Sportzvibe Rugs. Sportzvibe rugs are the ultimate pet massage accessory – no yard should be without them. With two settings, and easily removable electronics to allow for ease of washing, these rugs are essential kit for horses and dogs.